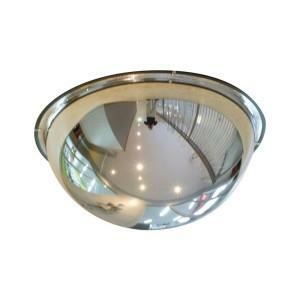 Ideal for inspection below and above vehicles entering security areas. 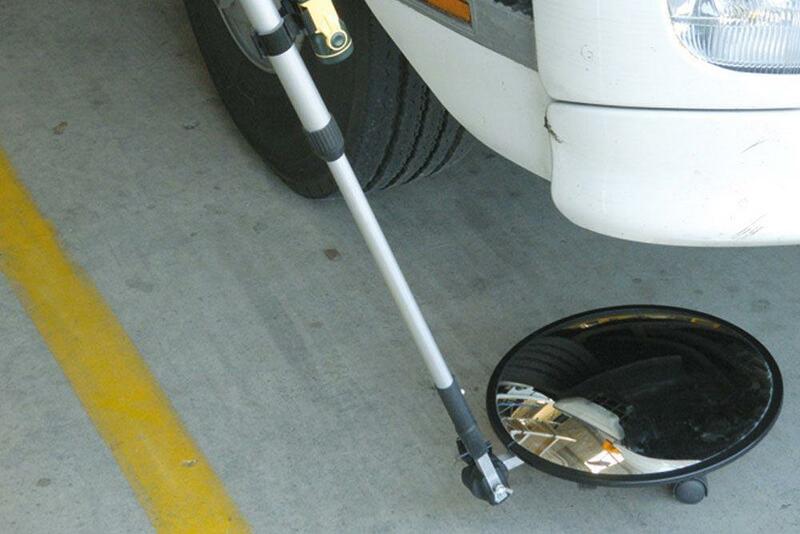 This light weight inspection mirror comes complete with 300mm diameter unbreakable polycarbonate lens, extendable aluminium handle, built-in torch for reflected light and triple snap on castors for working below vehicles. 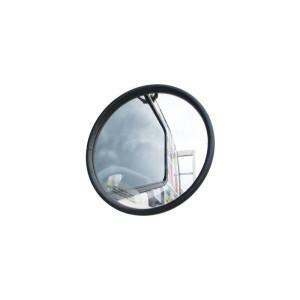 When not in use the mirror folds and is stored in its own convenient carry bag. Material: Polycarbonate lens with aluminium handle.